A. Hoyt Rowell III is an accomplished litigator with 40 years of experience handling complex cases, including consumer class actions on behalf of hard-working individuals who were harmed through no fault of their own. Raised in a Navy family, his father was a supply officer who often embarked on two-year tours. Rowell lived in several places, but was primarily raised in Cayce, South Carolina. 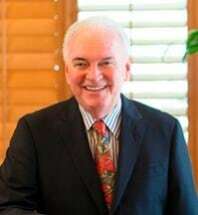 He graduated near the top of his class at both the University of South Carolina in 1970 and the University of South Carolina School of Law in 1973. Following law school, Rowell spent two years clerking for the Honorable Sol Blatt, Jr., who at the time was just beginning what would become an illustrious and distinguished career as a federal judge. Rowell and three other attorneys – Coming Ball Gibbs, Mark Tanenbaum and Foster Gilliard – formed their own firm in 1975 and practiced together for four years. From 1979 to 1989, he worked as a solo practitioner until a rising mass tort caseload necessitated joining a larger firm with more organizational capacity. He was hired by Ness, Motley, Loadholt, Richardson & Poole. In 2002, he joined RPWB. A history lover, Rowell is especially interested in the Napoleonic wars. He is fascinated by Napoleon’s transformation of Europe and the spread of an egalitarianism of opportunity via the adoption of Napoleonic code and the abolishment of the institutional remnants of feudalism. That notion that everyone is entitled to fairness under the law is a central tenet of Rowell’s legal career. Rowell has been married to Mary Helen Corder for 45 years. They have two children, Hoyt Rowell IV, and Corder Adele Rowell. Rowell represented approximately 2,500 women in the Dalkon Shield litigation of the 1980s and 1990s that resulted in settlements in excess of $100 million. The intrauterine device used to prevent pregnancies had a serious design flaw that enabled bacteria to spread into the uterus, causing sepsis, miscarriages, serious injury and death. In the 1990s, compressed particle board exterior siding sold by Louisiana Pacific was found to be defective in humid climates due to production and design flaws. When exposed to moisture, the wood would prematurely rot. Rowell was a member of the Plaintiff Steering Committee. In total, 37,000 claims were settled for almost $1 billion. Wachovia offered customers a program in which they could pick the amount of their mortgage payment, but did not disclose the ramifications of the customer’s choice. In some instances, selecting a particular payment would cause the consumer’s principal to rise. The case settled in 2011 for $50 million. Rowell is assisting six provinces in Canadian Tobacco Healthcare Cost Recovery Litigation. He serves as a foreign legal consultant for British Columbia, Manitoba, New Brunswick, Nova Scotia, Prince Edward Island and Saskatchewan.